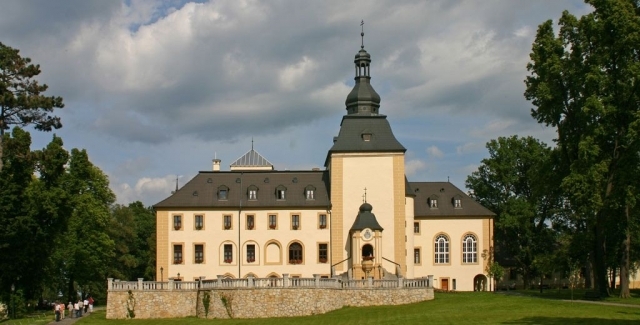 A late baroque palace of the 17th/18th centuries, the seat of a few noble Silesian families. Nowadays, it is the Centre of Culture and Science of Faculty of Theology at the University of Opole. In the 1990s it was rebuilt and handed over to the University. As St. Jacek's sanctuary, it is place of pilgrimages. In the neighbourhood there is a landscape park and a sanatorium called Sebastianeum Silesiacum situated in the old farm buildings (rebuilt and modernised).